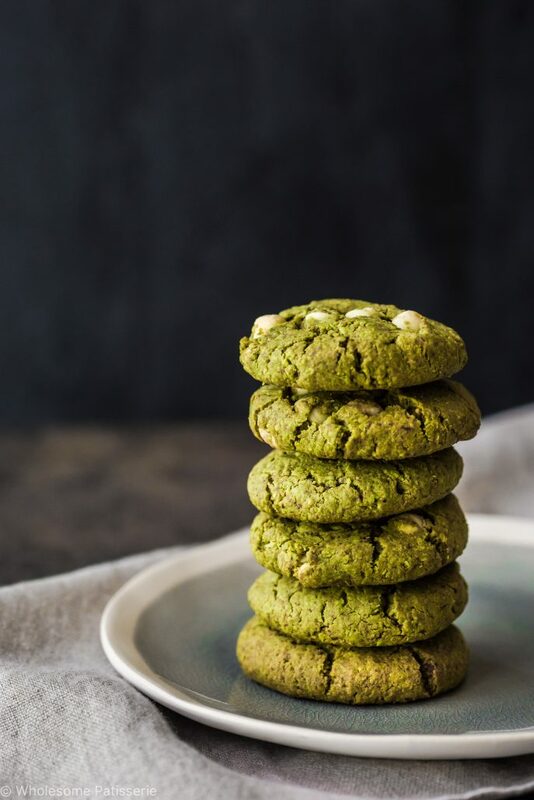 How matcha cookies would you like? See what I did there? I hope you enjoyed that very matcha! 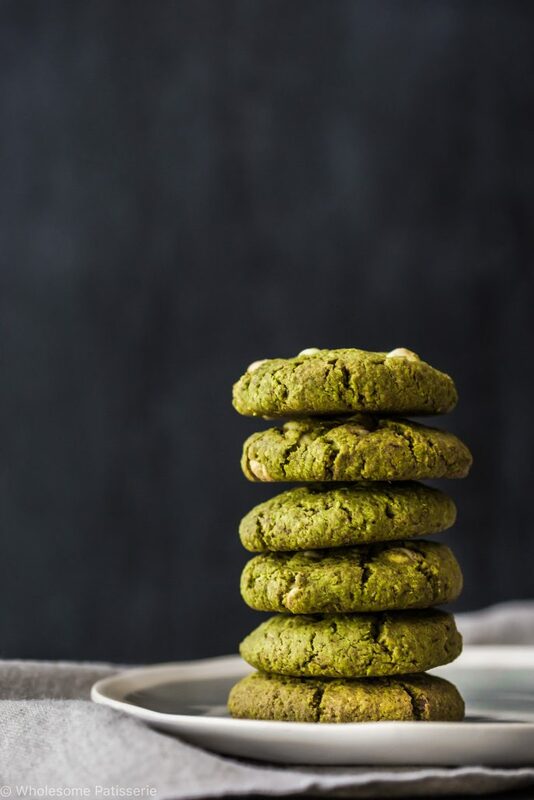 This recipe would have to be my favourite and go-to dairy free base cookie recipe, I originally found it on Oh She Glows and just adjusted it slightly to match my recipe theme. We are using white chocolate chips in this particular recipe but if you can hunt down dairy free white choc chips, use those if you want your batch of cookies to be completely vegan. Or, you can use dark chocolate chips as a dairy free option for dark chocolate is more accessible these days, check out your local health food store! Side tracking for a moment here, when I was travelling the US and Canada, everyday we got our afternoon hot beverages and 90% of my choices were Matcha! Not all cafes we went to offered matcha beverages but the ones that did, I was all over it. Some were good and some not so good. The best one I had was in Banff, Canada, at a little cafe called Evelyn’s Coffee Bar. 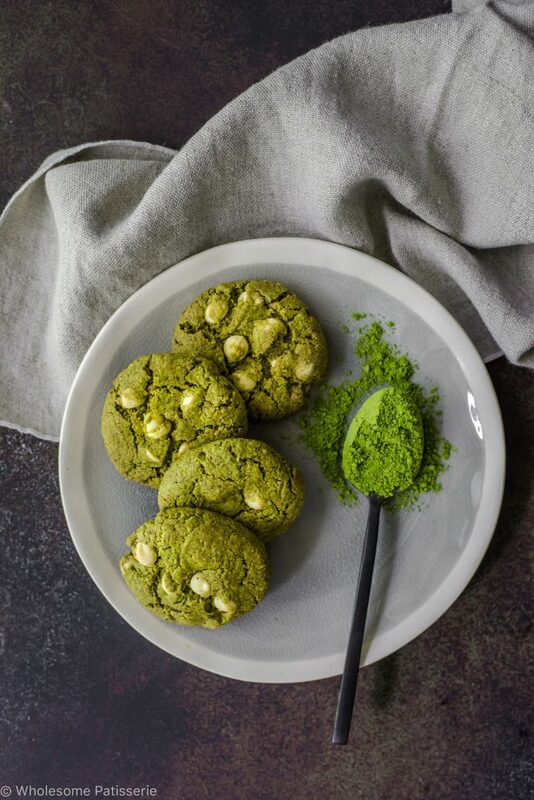 Their matcha, was incredibly delicious and made to perfection! Highly recommended if you’re ever in Banff or just passing through. So I’ll stop rambling because I’m pretty sure you’re going to want to make yourself a batch of these beauties, trust me, you’ll love them as much as I do! My family certainly did! Repeat with remaining mixture. Leaving a 2cm gap between each cookies, they don’t spread too much, they rise. *If you don’t have or cannot find oat flour, simply process rolled oats into a fine flour. Fabulous recipe! Thank you so much! May I sub the almond meal for almond flour?? Thank you.